Stratolaunch, the world’s largest aircraft and brainchild of Microsoft co-founder Paul Allen, has completed its first flight. 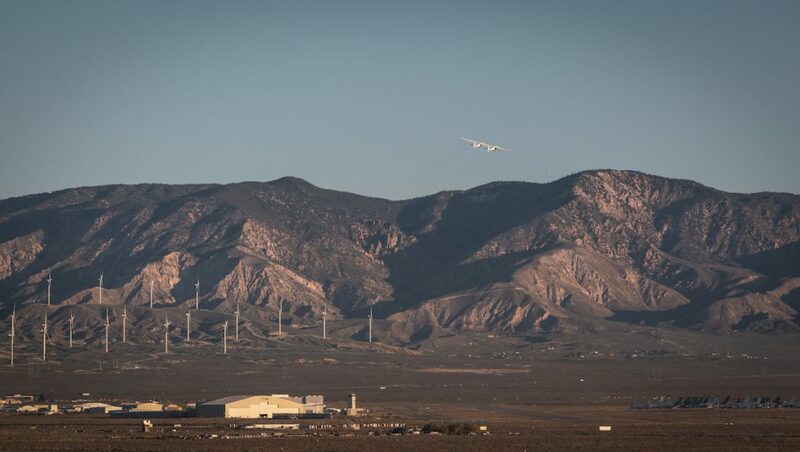 The aircraft, which features a distinctive twin-fuselage concept, took off from Mojave Air and Space Port at about 0700 on Saturday, April 13 (US time). 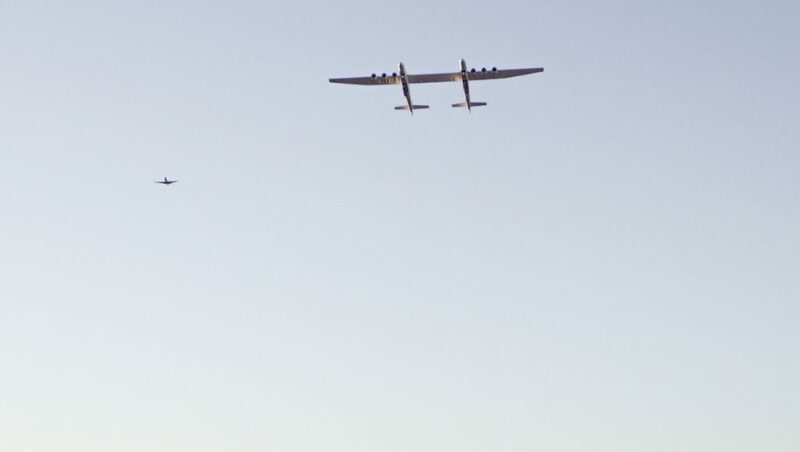 The maiden flight lasted about 150 minutes, with the aircraft reaching a top speed of 189 miles per hour (164kn) and an altitude of 17,000ft, Stratolaunch said in a statement. The test pilots performed a variety of flight control manoeuvres to calibrate speed and test flight control systems. 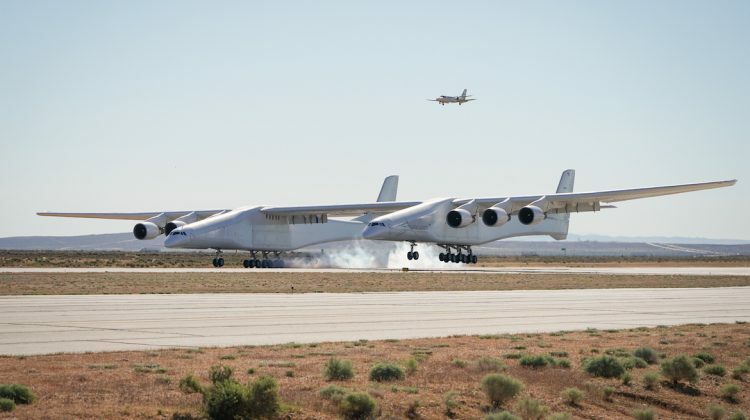 These included roll doublets, yawing manoeuvres, pushovers and pull-ups, and steady heading side slips, Stratolaunch said. There were also simulated landing approach exercises at a max altitude of 15,000 feet mean sea level. 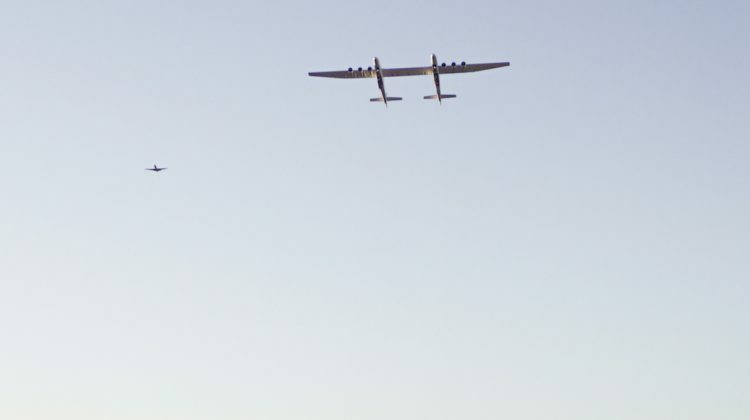 “The flight itself was smooth, which is exactly what you want the first flight to be,” a test pilot on board the aircraft and for the most part, the airplane flew as predicted which is again exactly what we want”, test pilot Evan Thomas said, according to a transcript of a press briefing on the Stratolaunch website. Thomas said the handling qualities of the aircraft, which were “very much like we had simulated and predicted”. “The systems on the airplane ran like a watch. It is a very complex airplane – the propulsion, the pneumatic system, the hydraulics; they all ran perfectly which was great,” Thomas said. 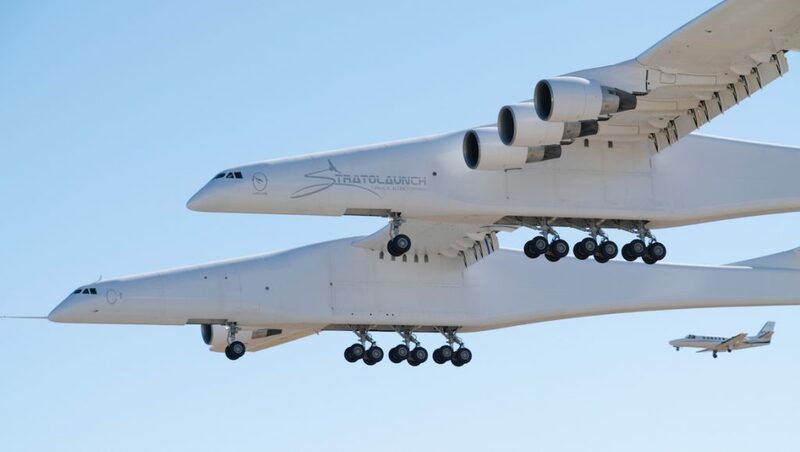 The Stratolaunch, built by aerospace company Scaled Composites, is a platform designed to carry rockets into the upper atmosphere – at about 35,000ft – where they can be air-launched to place payloads into low-earth orbit. The all-composite aircraft has a payload capacity of 500,000 pounds (245,000kg), is powered by six Pratt & Whitney PW4056 turbofans, and has a 385-foot wingspan and two 238-foot fuselages. 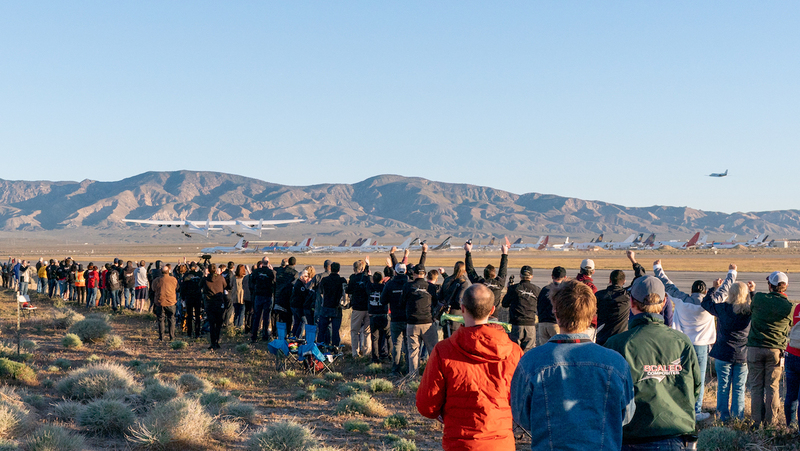 Stratolaunch chief executive Jean Floyd said it was an “emotional moment” watching the Stratolaunch take off. 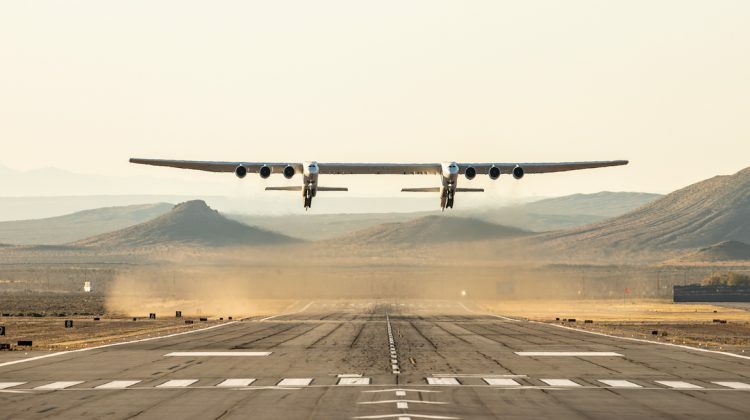 “To view the Stratolaunch aircraft in flight was nothing short of breathtaking and the moment was made all the more special knowing how many people have contributed to its success since its inception in 2011,” Floyd said. While Allen was one of the driving forces behind the Stratolaunch, he was not there to witness the first flight milestone, having died in October 2018 due to cancer. He was 65 years of age. VIDEO: The first flight of the Stratolaunch aircraft, from the company’s YouTube channel.